WIFI Closed When Baby at Home? Few days ago, there is a hot news in China said “ A men asked his neighborhood to close WIFI because his wife pregnant”. In a time, “will WIFI effect to pregnancy” become a hot topics. Thus are drawing the attentions from obstetric experts, and work out a professional answer shortly----intensity of WIFI radiation is inversely proportion to its distance, let along to across reinforced concretes, the radiation now only tenth of National standard, even several tenth. WIFI is not essential differences from mobile phone signal, they are microwave, usually the wave band between 800MHZ to 900MHZ, and till now there is not really powerful scientific evidence prove that WIFI will destroy the human DNA or protein structure and harm to fetal development and pregnant health. So WIFI will harm to families? 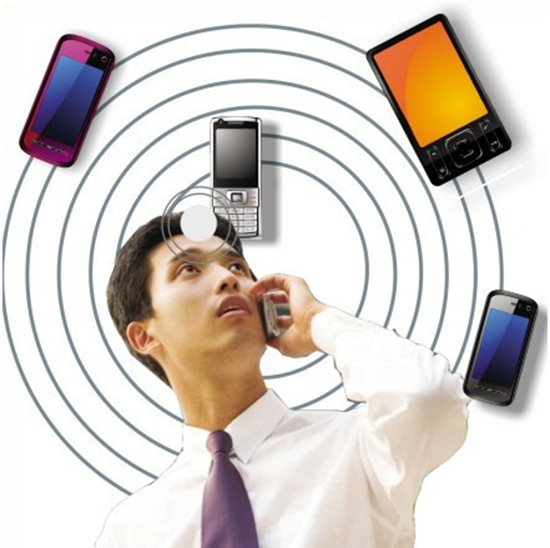 Wireless router is the most popular router, its power between 30—500mw, small then mobile phone ( about 125mw to 2w). Compare with mobile phone, wireless routers and other WIFI equipments are more far away from users, the distance decrease radiation density power harm to people. Even though mobile ration, WHO resulted“ so far, there is any evidence proving use mobile phone will bring down the health of body”. About the problem of WIFI radiation and human health, till now there is not any concrete evidence to prove WIFI will bring any harm to human body. 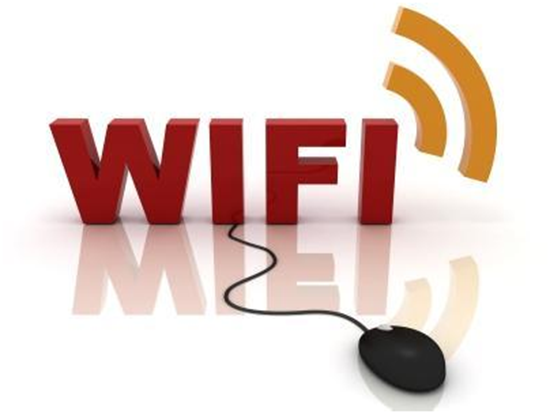 Expert says, WIFI radiation will effect only in early pregnancy from 0-4 months, mainly consider the effect to fetal, the influence to mid pregnancy and kids is too tiny to ignore. 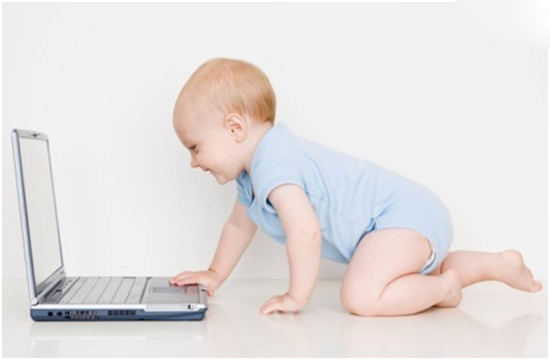 But it’d better close when it is not use; WIFI radiation in a save standard will not harm to baby, human body have protective capacity, the radiation of normal electrical equipments will not hurt baby. 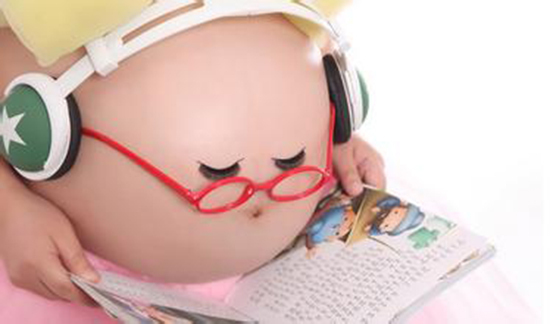 It seems the topic of radiation influence to mothers and babies are never stop, what actually is the biggest ration during house electric equipments in our daily life? The scientists believe that 0.2μt electromagnetic radiation is a save standard for long term touch. Nowadays microwave oven, soybean milk machine, induction cookers and sort of these small appliances are becoming essential family appliances, then how much radiation release from those appliances? What about the hurt? What is the save range for EMI? Experts selected some normal appliances to test and analysis there extend of radiation one by one. When you have 20cm distance with LCD TV, radiation is zero, when you have 10cm distance from the screen, the radiation is 0.03μt, when you close to the screen the figures will reach to 16.04μt. Suggestions to you, please keep at least 1 meter away from the screen when you watch TV, in this distance the radiation will not influence to you, it is a save distance. When close to the front door of freezer, the radiation value is 0.05μt, but slightly away from the freezer, the radiation value displays to zero; In addition, the situation of the side and the back is almost same as the front. The radiation value shows 0.79μt when close to the side of freezer, and it’s only 0.16μt when close to the back. So we don’t need to pay excessive attention to freezer radiation. When the radiation measuring instrument 30cm away from the laptop, the radiation value shows zero. Slowly close to the laptop, 15cm away from it, the radiation value still shows zero. 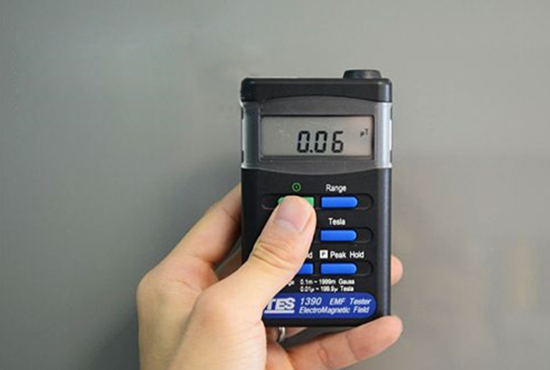 When the instrument closes to its edge, the radiation value becomes 1.6μt but meets the radiation safety standard. However when radiation measuring instrument locates above the keyboard, the value rapidly rising to 13.96μt, and it reaches to 14.61μt when close to the LCD. Although the radiation value exceeds the safety standard, there would be no radiation hazard as long as we keep a distance of more than 20 cm from the laptop during using. Testing LCD, 10cm away from the screen, the radiation value is zero. Closing to it, it’s 0.23μt which almost meets the radiation safety standard, so the LCD radiation can be neglected. The radiation value shows zero when we 20cm away from the case. But when closing to the case, the radiation value is more than 10.03μt mu t which is higher than the radiation safety standard, so in everyday using, we should keep at least 20cm away from the case to ensure the safety. When running, the microwave radiation value sharply reduces in the place of 0cm to 65cm away from the frontal door. And it becomes is zero when 70cm away from the front. So the suggestion is that standing at least 1m away from the microwave when using, then we can effectively avoid the dangers of microwave radiation. Stand by the induction cooker within 40cm, the radiation value is beyond the safety standard (0.2μt, the higher the stronger), and at the place of 10cm the value is 19.74μt. But the radiation reduces rapidly when the distance is far away. At the place of 40cm, it conforms to the safety standard. So we suggest when using induction cooker, be sure to keep a distance of half a meter, then it can ensure the user not to suffer from the harm of electromagnetic radiation. On standby, the mobile phone radiation value is near to zero. When calling, the radiation instantly reaches to 3μt, far higher than the safety value of 0.2μt. Generally the mobile phone is very close to our head when calling, so we suggest user to use headphones. The electric blanket radiation value is 16.69μt when opening, and it can produce much radiation during running. So users had better to open the electric blanket for preheating in advance, and close it when go to the bed, then we can avoid its high radiation. At a distance of 5 cm to the windy spot of the electric hair drier where radiation value is 15.48μt. Near the body of the drier, the radiation reaches to 18.49μt. 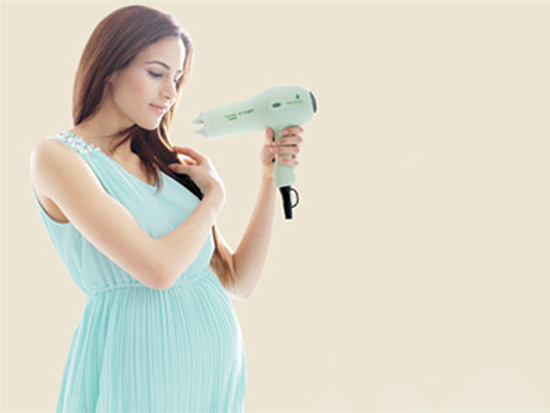 Long-term usage of hair dryer will bring certain radiation injury to the users. 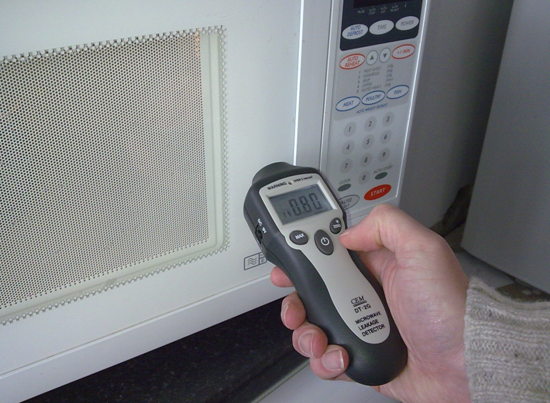 Radiation value reaches to 19.59μt on the moment the shaver is turned on, its radiation values far more than the radiation of microwave ovens, induction cooker and other appliances. So every husband must minimize the use of shaver. Did you guys have a deeper understanding of electromagnetic radiation after we learned about the radiation situation in these daily appliances? We can avoid better the radiation injury of these daily appliances once we mastered these tips of radiation. Warm tip for everybody: To maintain “safe distance” with these daily appliances for the safety and health of you and your family. Expectant mothers don’t have to worry about the radiation problems anymore, because the safety radiation amount for the pregnant women is less than 5 rad, and now the radiation index of our appliances in general are equal to or less than 0.5 cents rad. Nowadays, whether the radiation standard of computer, mobile phone, TV, microwave ovens or other household electromagnetic appliances are generally consistent with national security standard, mothers could have normal use of these appliances. Working moms do not need to wear radiation suits on purpose, what calls for special attention is that to avoid receiving or making a call when the phone is charging or running out of power, since the radiation released during these time is larger than usual. Also should note that a microwave oven with long service life may appear to radiation exposure due to the untight closure, the radiation is stronger especially in the startup and shutdown of microwave oven. Therefore, expectant mothers need to keep certain distance from the microwave oven and don’t stand too long in front of it. Finally, expectant mothers should no sit too long in the workplace, because on the one hand, sedentariness will cause back pain, on the other hand it will cause eye fatigue. Early pregnancy is the fast physical development stage of the nerve, vision of the fetus. In order to prevent the intense radiation in the pregnancy, expectant mothers must stay away from X-rays, CT examination and such with radioactive danger examination. 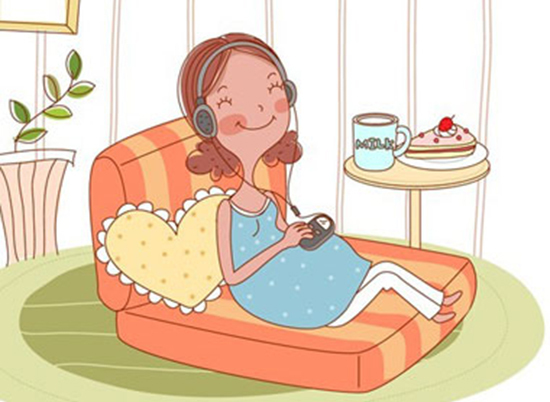 In addition, expectant mothers should also pay attention to other aspects like: First, pay attention to eating. Especially need to prevent diarrhea in early pregnancy in the summer, because diarrhea in early pregnancy can stimulate uterine contractions, have the risk of miscarriage. Second, don’t exercise strenuously. The situation of expectant mother and the fetuses are not stable in the early preganancy, at this time, expectant mothers should avoid strenuous exercise, to avoid abortion. Third, to keep a good mood. 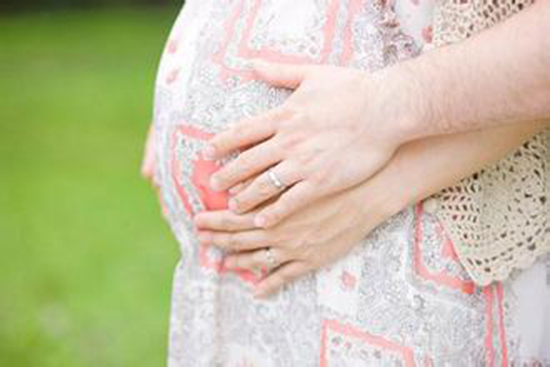 The emotions of expectant mother can affect the fetus, in this time, mothers can do some prenatal care to be kept healthy and happy mood in the early preganancy. Write by: Chiaus baby diaper manufacturers, mainly produce newborn baby diapers, adult diapers, baby training pants.